Being one of countless products on the shelves is not enough. Your product needs to stand out on the center stage to call out to your customer and finally make a purchase. Point of Purchase Graphics System is all about disrupting the shopping experience to create awareness of your product/brand. Whether it’s for new product launch, discount deal, or boost exposure; Point of Purchase Graphic is one of the most important tool in successful marketing plan. At Morning, we have done all sorts of Point of Purchase Graphics imaginable that covers from the store entrance to the aisles, shelves and all the way to the checkout counter. Contact us now to see how we can make your product/brand shine! Koko Krunch was doing a special promo and giveaway to tie in with Jurassic World 2 movie. The POP graphics to promote the special packaging consisted of center aisle pallet wrap plus header, shelftalker, display kit as well as poster, banner and social media postings. Jus Ahoy was a newly launched Ready to Drink brand. 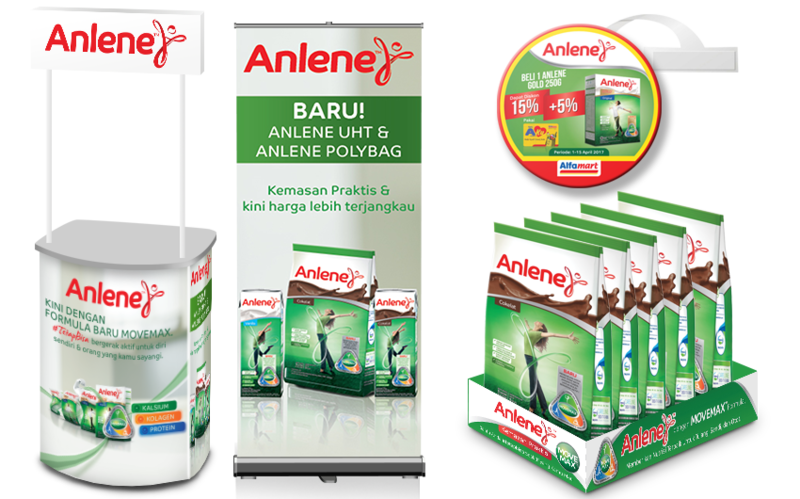 To create awareness in store we designed sampling booth, banner, and checkout counter tray. Meanwhile for events and roadshow we also designed tents and vehicle branding. Anlene launched a new packaging, we helped to create in-store awareness that included sampling booth, banner, packaging tray, promo wobbler, etc.